« Vegetarian Pork and Beans, How Is That Possible? RUM! 🙂 Although I have had those little chocolate barrels with tequila inside! They were pretty tasty too! Sorry you’re getting snow in May though! BTW, you might enjoy peppermint schnapps in your cocoa. Peppermint schnapps, cinnamon whiskey, spiced rum, all good choices for cocoa. Sorry you’re getting snow in May. But maybe it’s just a day to stay in and play? 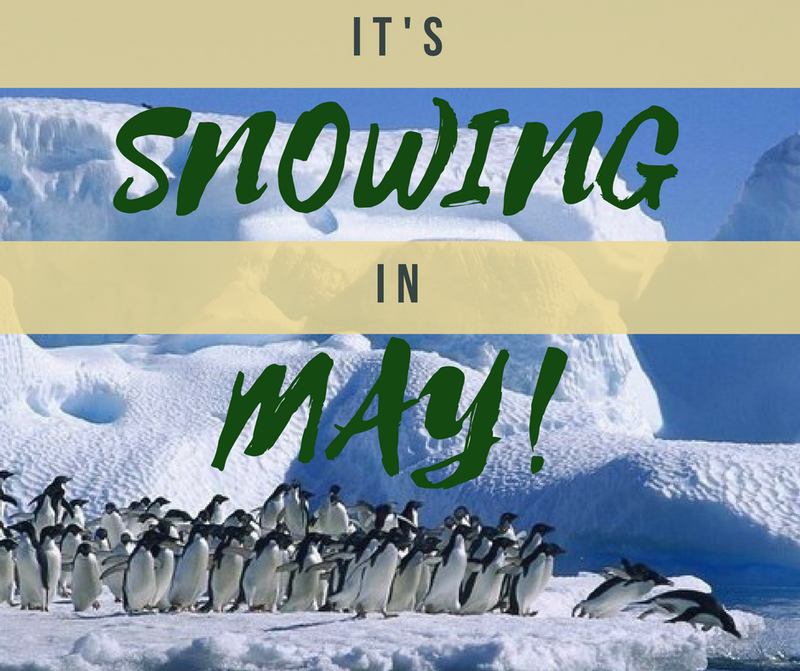 Snow in May sounds like something that is supposed to happen by me…Thankfully it hasn’t snowed in a while! Oh my. It’s 94 here in Charlotte NC with a heat index of awfulness. Enjoy your snow and cocoa. I’m chugging green tea at the moment and sitting in an air conditioned house under my ceiling fan trying to cool off from my last trip out with our new puppy. And Mr Trump says there’s no such thing as climate change! It’s been cold here in the UK too. Not quite snow, though, but I only put my winter things away last week. Then only because it is May after all. I’ve not been out without something covering my legs yet. This is the latest ever. Well if you can’t get Baileys, I vote rum! Any weather is a gift of nature. And a rum with cocoa creates a good mood. Is not it so? Good to meet you, Deidra. I like your sense of humor.